Beverage Wholesaler - October 8, 2018 To view this email as a web page, click here. A recent change in Oklahoma law has reshaped the state’s distribution landscape. Technically the state had for many years run a four-tier system, with brokers a legally separate entity. However, legislation passed last year in the state, which was set to become official Oct. 1, has now merged the brokerage category with importers/distributors. Domestic vodka, like America itself, is diverse, with distinct DNA for each brand. Lately, American-made vodka has lots to celebrate. The quality is there, sales are up and brands are proliferating - sea to shining sea. “Recently, American vodka brands have stepped up their game and have been focusing on distillation, quality of original ingredients and the care put into production,” says Michael Sachs, director of marketing for E.&J. Gallo Winery, parent of the New Amsterdam brand. The vodka category enjoyed another year of solid growth in 2017, according to the Distilled Spirits Council (DISCUS), with volumes up 2.2% and revenues up 3% to $6.2 billion. Vodka sales were paced by high-end premium products with revenue growth of more than 15% to $1.6 billion. 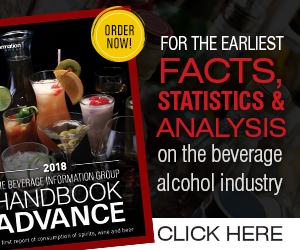 Our sister publication Beverage Dynamics is now accepting information for its annual Holiday Merchandising Guide, sent to off-premise retailers around the country. Submit your seasonal sales collateral (POS material, special packaging, limited edition products and VAPs) for consideration in the guide to Jeremy Nedelka at jnedelka@epgmediallc.com. 1. Partnering with various functional groups within Columbia to develop and implement a newly designed call center, including selection of software and hardware that integrate with Columbia's current Route Accounting Software.